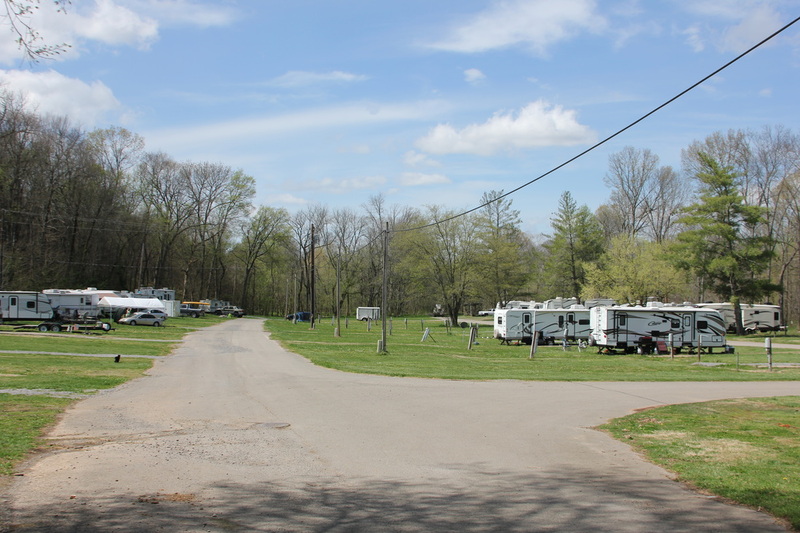 We are a family owned and operated campground in Clarksville, Tennessee, serving the camping community for 48 years. 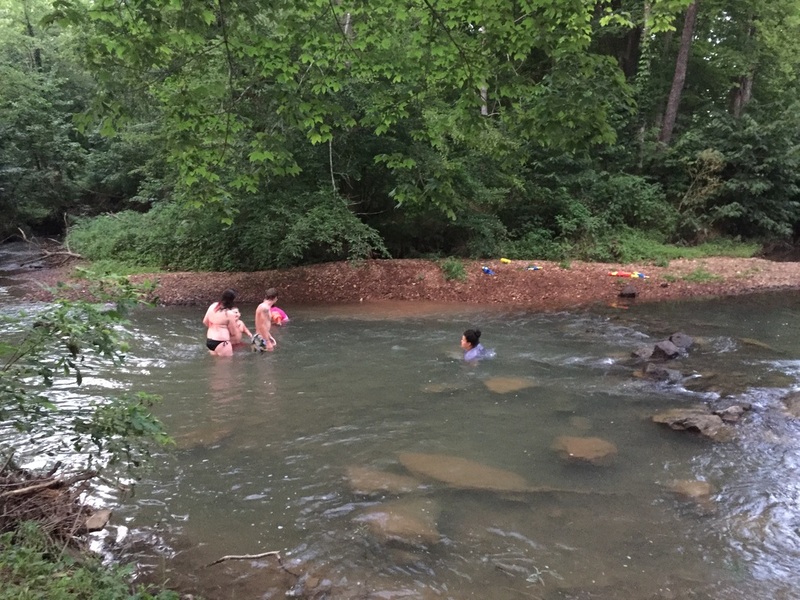 Spring Creek Campground, named after the creek by the same name that runs the length of the campground, is Clarksville’s first and oldest campground. It is family owned and operated and is situated on the old family farm at 3040 Spring Creek Village Road, Clarksville, Tennessee. In the 1930's Papa and Momma Barnett bought 130 acres on Hwy 79. They came from what is referred to by "old timers" as "Camp Campbell"; displaced after the government purchased their family farm to make room for Fort Campbell. Papa Barnett farmed the land. The family hauled water up the hill from the spring branch that was located in the bottoms behind their house. 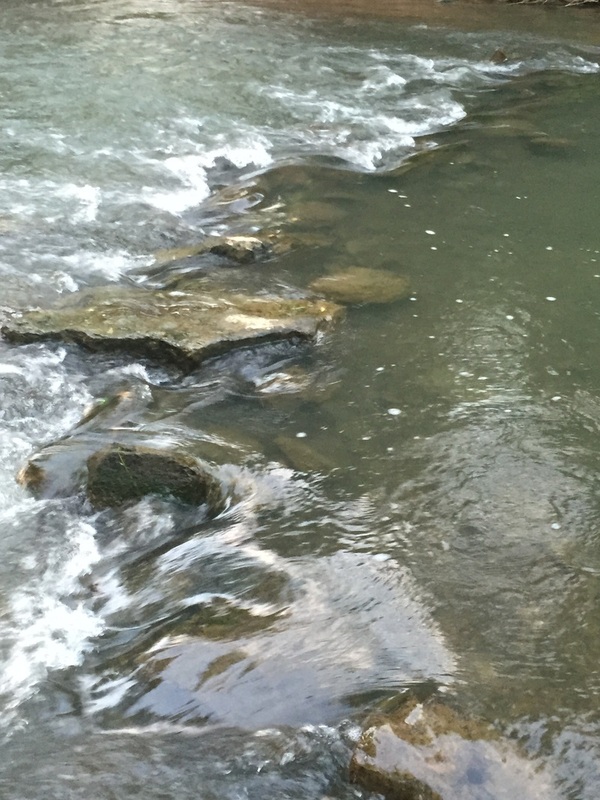 Numerous springs along the route of Spring Creek feed the creek. This is why it flows year round and is so nice and refreshing in the summertime. The spring-head Don visited with Papa Barnett. Don Clark, grandson to the Barnetts, remembers growing up and visiting his grandparents on their new farm. He recalls walking down the hill along the worn path with his grandfather to draw water from the spring branch which feeds Spring Creek. On one occasion an old chicken snake crossed the path at the same time Don was coming down the hill, slithering over his foot. Terrified, Don jumped a mile high and screamed. Amused and laughing heartily, Papa picked up the snake and moved it away from the path. The land at the bottom of the hill, which is the current campground location, was rich farmland and was used to grow corn, wheat, and hay. It was also grazing grounds for hogs and cattle. There were two barns located in the bottoms, both used for dark fire tobacco. 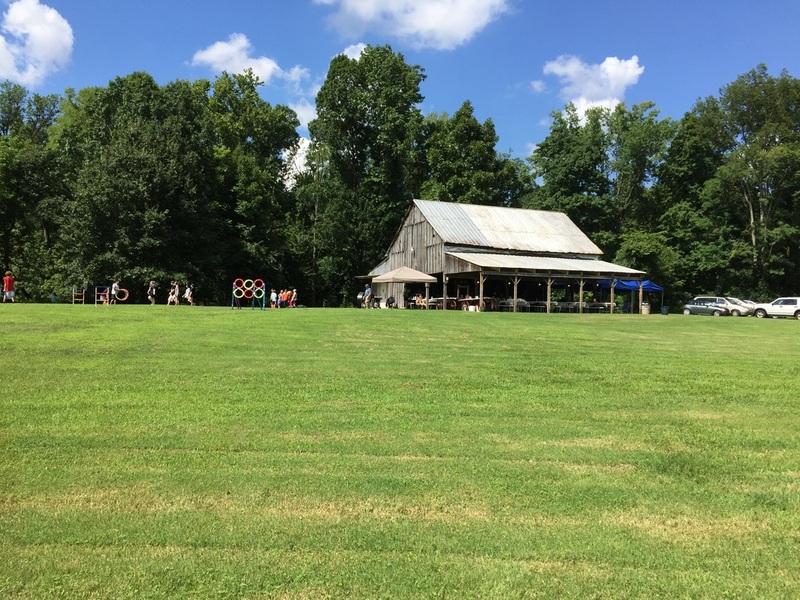 The remaining barn was recently restored and is now used as an Event Center. Corn and soybeans are still cultivated and harvested in the field located to the right of the road as you reach the bottom of the hill. In 1962, after both Papa and Momma Barnett passed, Russell Clark, a native of Bumpus Mills, TN, and his wife, Ruth, youngest daughter of the Barnetts, purchased the property at auction, and moved into the old home place at the top of the hill. They upgraded the house, which included installing an indoor bathroom. However, the old outhouse remained outside and was an option for those who preferred a more natural approach. They continued farming the land, but changes to the bottomland were on the horizon. In 1966, Don Clark, son of Russell and Ruth Clark, and his wife, Ann, pulled a camper out west to Yellowstone National Park. During their 3-week trip Don noticed the popularity of camping. The roadways were covered with these camping enthusiasts. Shortly after his return to Tennessee, the plans and path for I-24 were released to the public. The new interstate would pass within one mile of the farm along with an exit ramp onto Hwy 79. Recalling his recent trip out west and the growing popularity of camping among American families, an idea hatched in Don’s mind. Why not develop the bottomland into a family campground? With Land Between the Lakes to the west, and Nashville, TN to the east, I-24 promised to be a corridor for vacationing families. Clarksville was a convenient overnight location for weary travelers, and the Clark farm was perfectly situated to provide a home for this new business. Don proposed the new business venture to his father, Russell Clark, and shortly construction began on the new campground. Except for the campground office, Don and his wife Ann built most of the campground with their bare hands, converting fields into lawns, landscaping, planting trees, installing electric, water, and sewer lines, hand painting billboards, and building roads. What Don didn’t know how to do, he learned by doing. 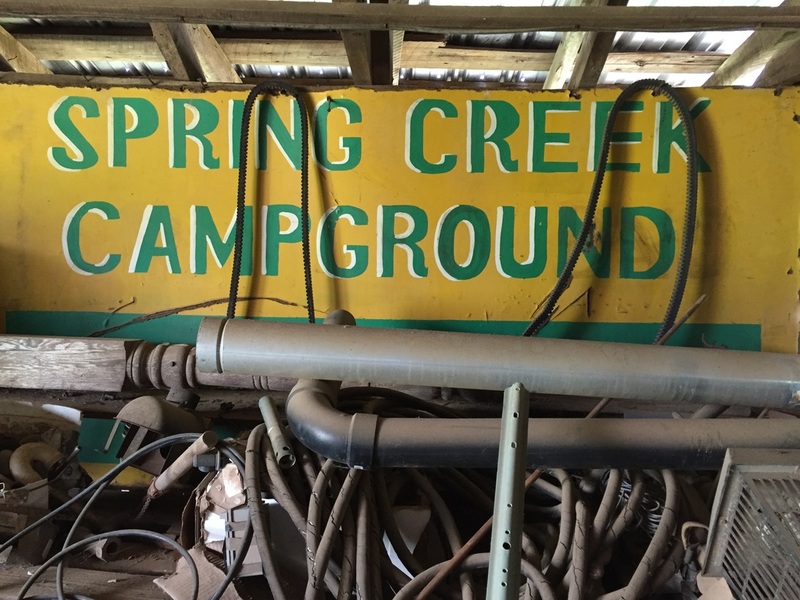 The summer of 1968 Spring Creek Campground, Clarksville’s first campground, was opened to the public. Russell and Ruth operated the office and small camp store in the mornings, Don and Ann in the afternoons and evenings. At first business was slow, but it was not long before word spread and the campground was host to many campers. 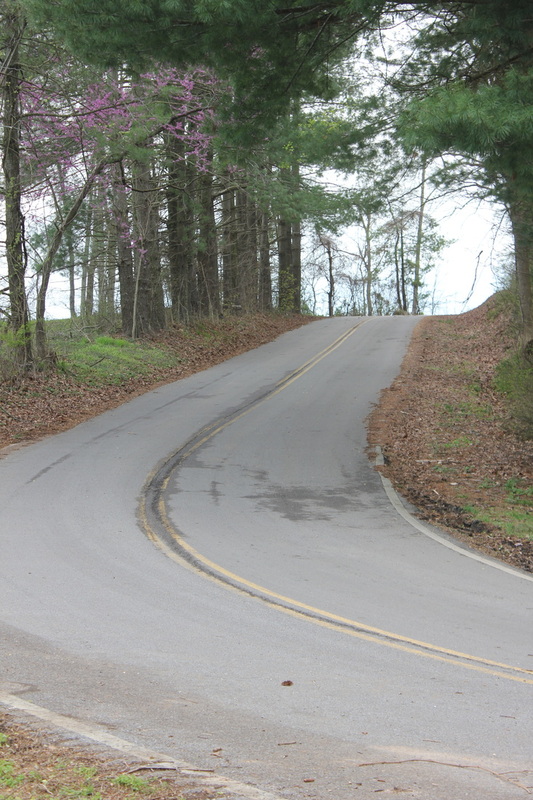 The old dirt and gravel road that led to the bottoms from Hwy 79, now blacktopped, is used today to access the campground. Before the campground was established, the road continued straight to the creek where a ford for crossing the creek was located. Guests can still see the old road path that leads into the creek. In the 1930's there were families who lived on the other side of the creek. They forded the creek in order get to Hwy 79 located at the top of the hill. There was a swinging bridge upstream from the ford for those crossing on foot. Don remembers playing on the swinging bridge, and can still hear his parents warning him that the bridge would break if he didn't stop swinging. "The bridge never broke," he says, laughing. ​He remembers the children who lived across the creek crossing the bridge each day and walking up the hill to the highway to catch the bus for school. 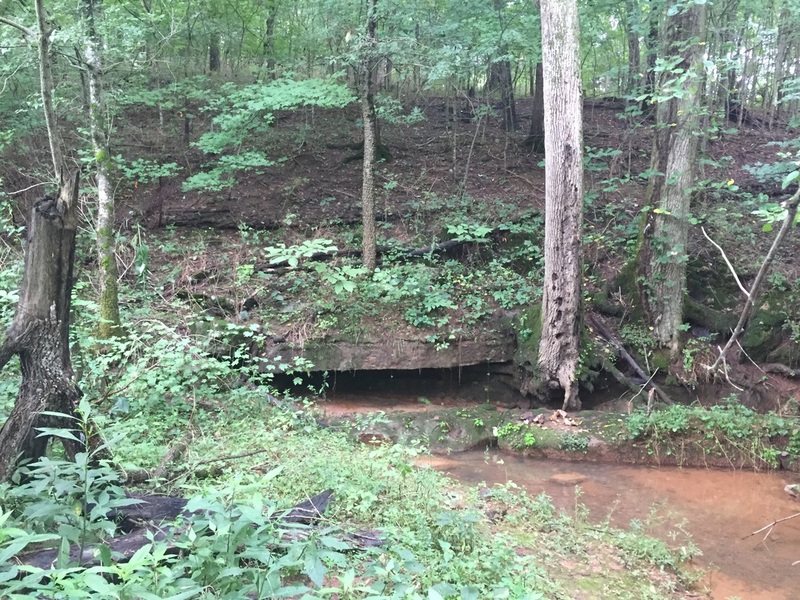 The bridge is long gone, and there is no trace of the small community that once lived on the other side of the creek, but if you close your eyes while standing at the old ford road, its not hard to imagine how life used to be down in this beautiful hollow. Sue Ann Martin, Don and Ann’s daughter, recalls the excitement she felt as campers drove down the hill and rounded the corner into the campground. Eager to greet the new arrivals and hear about their travels, she and her brothers kept watch, even while playing in the creek. They would run up to the office dripping with water yelling, “here comes a camper!” 48 years later she still feels that same excitement when a camper rounds the curve at the bottom of the hill and pulls up in front of the office, and she still enjoys hearing about folks travel adventures. 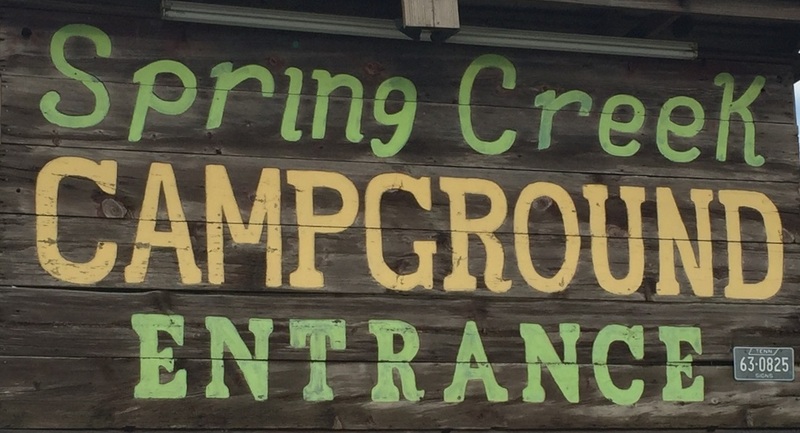 Today, Spring Creek Campground continues its tradition of being a family run business. Don, now 80 years old, is still actively involved in the campground operations. On any given day you will see him on the grounds working. It isn’t uncommon to see him sitting on the porch visiting with our guests and drinking a cup of coffee. 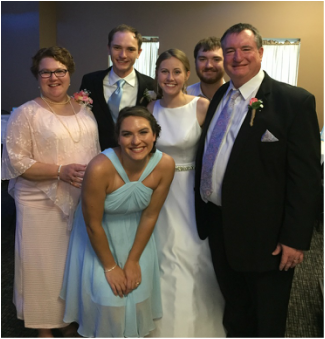 Recently, Don’s daughter, Sue Ann, joined the campground team as the third generation from the Clark family committed to providing the same homegrown hospitality that campers have enjoyed for the last 48 years at Spring Creek Campground. We invite you to our hollow to enjoy a restful respite along the banks of beautiful Spring Creek and experience a taste of yesteryear when life was a little slower and less complicated.